Why do all the faithless live at ease?" Like so many of us, Jeremiah was quick to plead for mercy on his own behalf and praise God for His righteous and loving qualities. But he was equally eager to want God's anger and wrath for those he considered unworthy and deserving of punishment. Each of us has this struggle. We're generally quick to blame but slow to accept responsibility. What's interesting is that we expect God, in our image, to be like this. We expect God to put off responsibility for pain and suffering and to point instead at Satan. 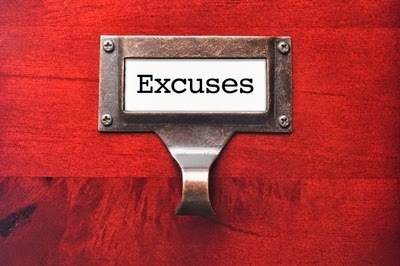 So often, we make excuses for God. We aren't comfortable with a God who allows or even chooses our pain and our punishment. Yet isn't our Lord one of wrath, one who is jealous and angry and who punishes? that both calamities and good things come?" Without some intense (and sinful) editing, there is no way to read through the Old Testament without witnessing some character traits of the Lord that make us squirm. -Sent a flood to wipe almost all living things out of existence. -Sent His people to Egypt, where they were eventually abused as slaves. -Sent deadly plagues not just on Egypt but on His own people in the wilderness and in multiple other instances (see Amos or Joel 7). -Hardened (most notably) Pharaoh's heart. -Killed Uzzah for steadying the Holy ark (2 Samuel 6:7). -Allowed Satan to destroy a great portion of Job's earthly life just to prove his faith. -Turned His people over to their sin. -Empowered enemies like the Babylonians to capture and exile His people. -Promised to end the world as we know it and judge everyone. -Blinds unbelievers to the truth so that they can't see the light of the Gospel (2 Corinthians 4:4). That's our Lord. That's the Jesus we want to be like. Bold, angry, jealous, judgmental, and good. How is He good when it seems that there are a lot of traits that we need to cover up for Him? Because the Lord is just. He is perfect. When the Lord is angry, His anger is always righteous. When God punishes a person, His punishment is proper. When He blesses, His goodness and grace are correct. Charles Spurgeon points out in "The Word is a Sword" that "if a stick is very crooked and you wish to prove that it is so, get a straight one and quietly lay it down by its side". Too often we lay our crooked sticks besides the way of the Lord and determine that it is indeed the Lord who is not right. But He is right. He isn't following the way of the world, the world's system of justice, or giving Himself over to judgement by those who are imperfect and who lack understanding. It according to the law and character of the Lord that we should measure our own anger and jealousy and actions -not the other way around. We may wish and act in response to what is convenient for us because we are sinful in nature, but God does not.